CoD4 Server Update 1.8 (1/1) - Fair-Gamers Forum - Fair-Gamers Community - Play Fair & Have Fun ! The current patch is now installed on our CoD4 servers. 2. Download the CoD4X 1.8 patch and unpack it in CoD4's directory. 3. Then start the "install.cmd"
4. Finally, you have to download the fix. 5. 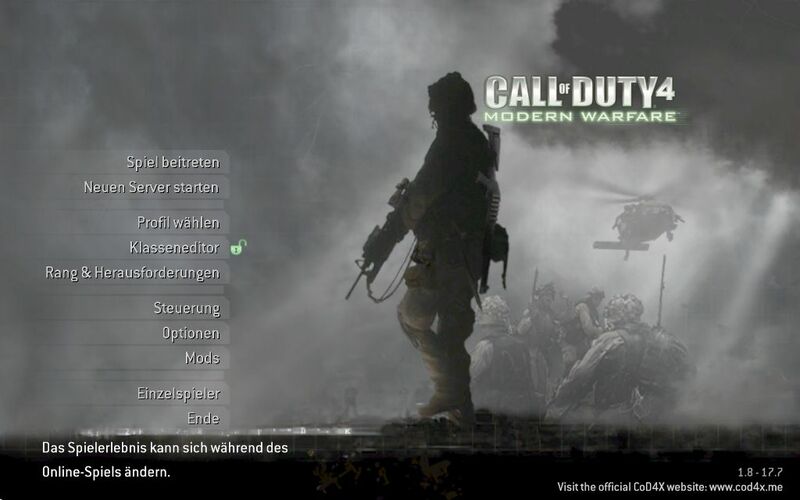 Copy the downloaded iw3mp.exe to your CoD4 folder and start the multiplayer version with this EXE file. Copyright 2019 CoD4 Server Update 1.8 (1/1) - Fair-Gamers Forum - Fair-Gamers Community - Play Fair & Have Fun !.